GravityView is an extremely powerful add-on for Gravity Forms which allows you to display and edit entries on the front-end of your site. It can be used to create lists of workflow entries and display their final status and current workflow step. 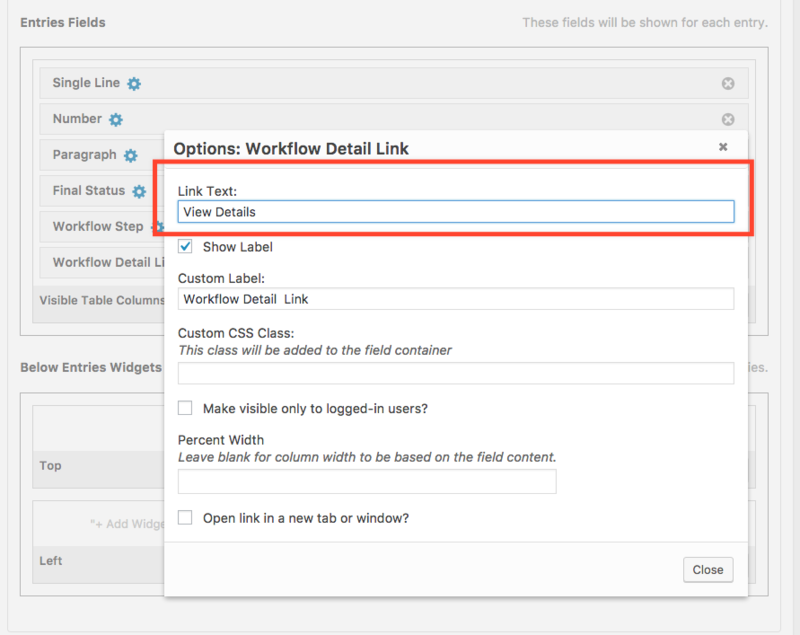 It can also be used to create custom, form-specific, workflow inboxes. This gives you a lot of flexibility over the columns in the table and it also enables you to create inboxes for groups of assignees or create special inboxes with advanced filters. 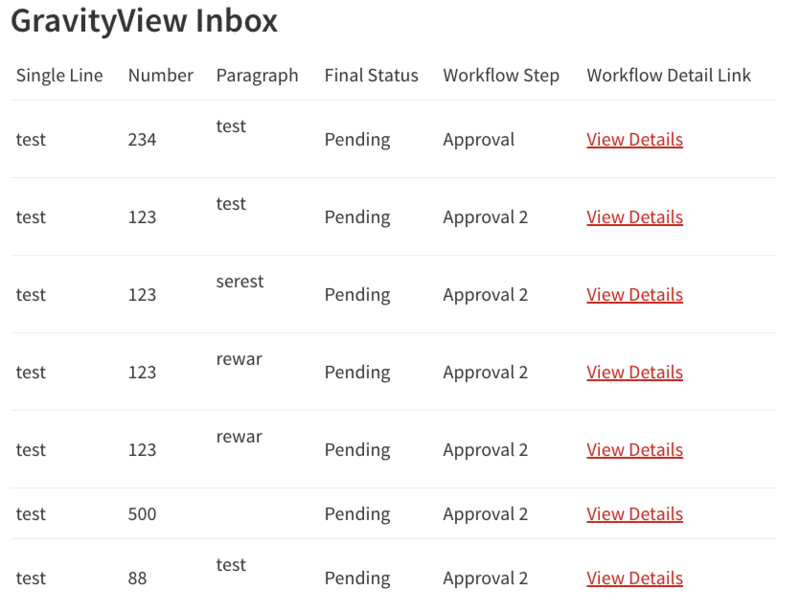 The following screenshot shows an inbox displaying tasks for the current user along with entry values, the final status, the current workflow step and a link to the workflow entry detail page. It functions just like the built-in Gravity Flow inbox except you get all the extra functionality that comes with GravityView such as paging, sorting, caching, custom content templates etc. By default, the view will display all entries. However, if you want to filter the entries to display only the entries assigned to the current user you'll need to add a filter. Please note that this does require the GravityView Advanced Filter Extension. In addition to "Current User", the Workflow Assignee values include all the assignees for the current form from all the steps so you can create group inboxes which display with entries for more than one assignee. Edits and Approvals done through 'GravityView' are completely independent of 'Gravity Flow' and will not trigger workflow steps.